CorelDRAW® 2019 is your professional graphic design software for vector illustration, layout, and so much more. From stunning artwork to impactful web graphics and stand-out print, you’ll have all the tools you need to work faster, smarter, and deliver results you’ll be proud of. Get started quickly and easily with a wealth of intuitive tools, built-in learning materials, sample files and project templates. What are you waiting for? 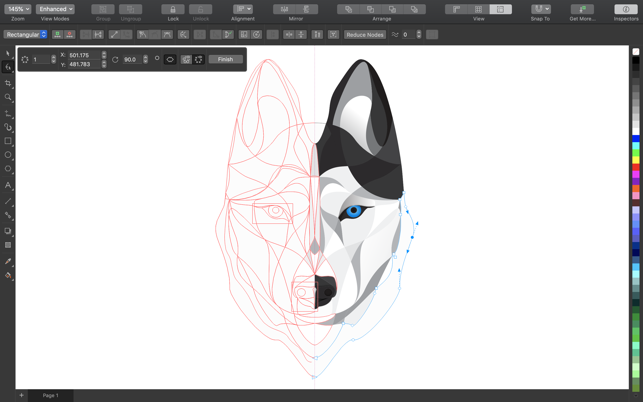 Use powerful vector illustration tools turn basic lines and shapes into complex works of art. 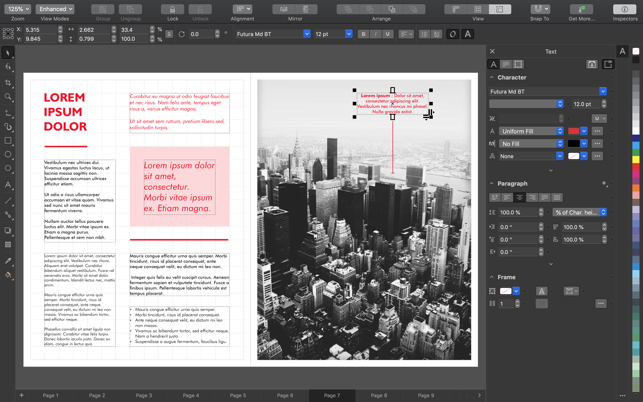 Find all the tools you need to create layouts for brochures, newsletters, multi-page documents and more. Arrange type beautifully with a complete set of typography tools. Adjust font, size, leading and kerning, and add effects to text like block shadows and contours. 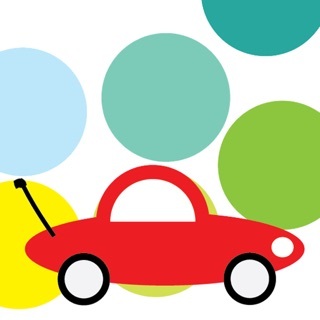 Easily apply color to both fills and outlines. Change the transparency of an object, and fill objects with patterns, gradients, and mesh fills, and more. Manage styles and style sets to apply consistent formatting across multiple objects, produce iterative versions, and format whole documents quickly and consistently. 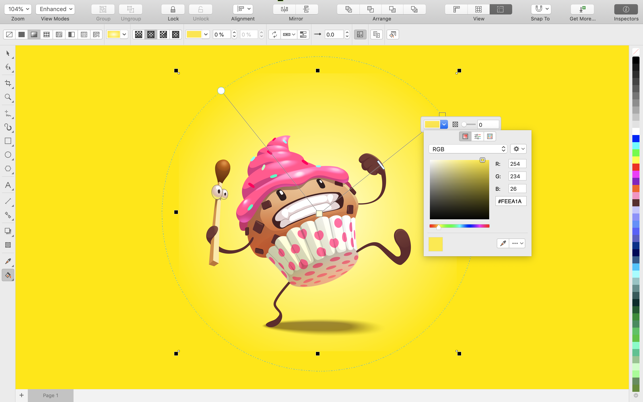 Save precious time while converting bitmap images into vectors. 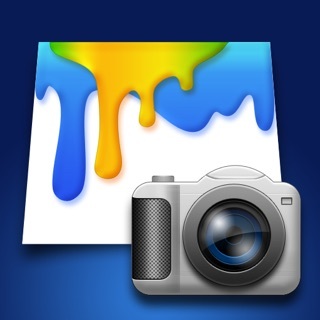 The built-in Corel® PowerTRACE™ engine turns the most demanding bitmap images into high-quality vector objects. 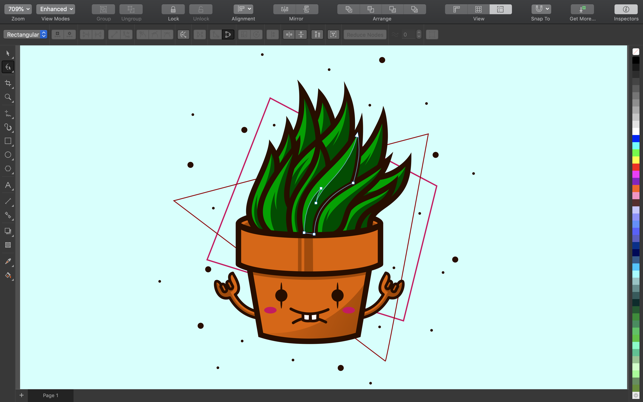 Edit bitmaps and vectors knowing you won’t harm original image or object. 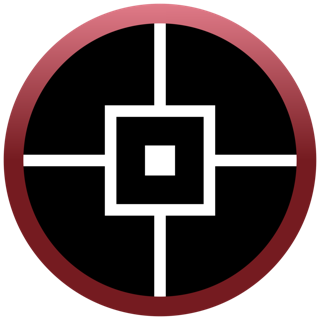 Enjoy many non-destructive features such as Block Shadow tool, Symmetry Drawing mode, Impact tool, and more. Develop captivating web content and graphics with a collection of web graphics tools and presets. With a powerful color management engine, you can control color consistency across different media and know your colors are accurate before you print. Leverage the time-saving features of the Touch Bar on MacBook Pro to control CorelDRAW functions, like layout settings, text controls and more. Enjoy support for macOS Mojave Dark Mode. 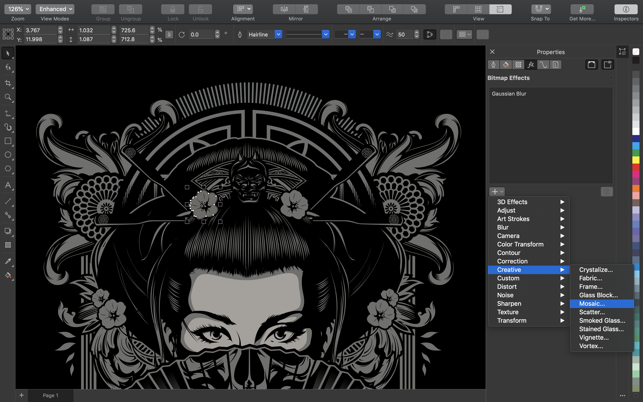 When you switch your OS to Dark Mode, CorelDRAW will adopt a dark interface for a consistent appearance across your Mac. 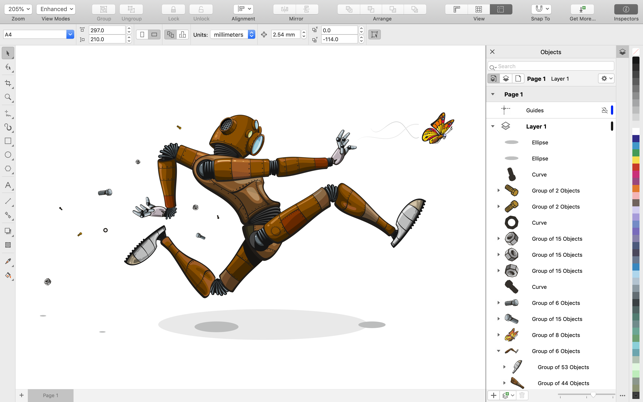 CorelDRAW for Mac was built for an experience that feels natively Mac. Menus, windows and views, fields and labels, buttons, and other UI elements reflect Apple’s excellence in user interface design. With a subscription, CorelDRAW software is always up-to-date and will always be supported and updated for the latest platforms, devices and technologies. 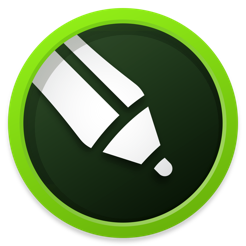 You can use the software, and save and output your work as long as your subscription is active. Choose between a monthly subscription and an annual subscription option that offers additional cost savings. Subscriptions are charged to your credit card through your iTunes account. Subscription plans are automatically renewed unless auto-renew is turned off at least 24-hours before the end of the current period. Manage your subscriptions in your Account Settings after purchase. Product offer has been reworded to improve clarity. 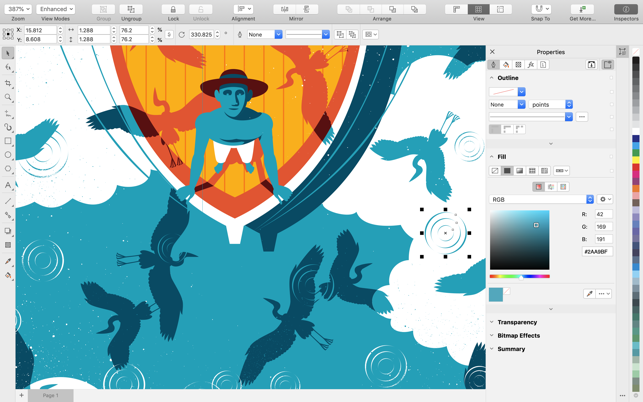 I'm one of the people who had been WAITING and WAITING for Corel to return to the Mac platform, and I was THRILLED to see this on the App Store today. Unfortunately, I have yet to actually see how it compares to my memory of PC-based Corel Draw, because it's not really a free trial at all -- it requires you to sign up for a lifetime (or longer) of recurring payments until you happen to remember to cancel them via the App Store. And frankly... I've stopped waiting for it over the years. There are now other, MUCH cheaper, but extremely powerful, competitors in this space, and frankly, this feels like too little too late for too much now. I waited for you Corel, but you didn't come. You didn't write.. and I moved on. Finally a version for Mac!!! I've used CorelDraw on Windows for years when I was in the graphic design industry. I've always found it easier to use than Adobe Illustrator. However, once I started working in journalism and got a Macbook pro I realized I couldn't run CorelDraw unless I installed windows via bootcamp or through a virtual machine. NO LONGER. I can finally do more freelance graphic desing work in the comfort of Mac OS instead of having to run my old Windows PC. Like other reviewers I was excited to see CorelDraw was back on the Mac since I used it for years back in late 80s to 90s on a Windows machine and had, until recently, always missed it. So imagine my disappointment and irritation when I installed it and immediately got the "Start Free Trial" message. I didn't even click on it, just deleted it from my system. 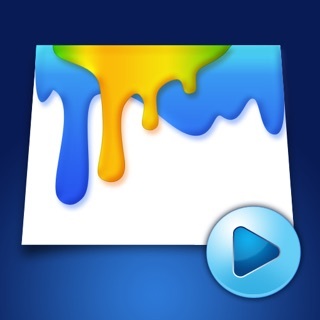 And, in fact, I can do everything that CorelDraw ever did, and much more, with Pixelmator Pro. Five stars for it. I'd give CorelDraw minus stars if I could.